2 New Steam DLCs - Available Now! Dear Tabletopians, we are happy to announce that two of highly requested games from our library are now available as Steam DLCs! You can now buy Eight-Minute Empire: Legends and Anachrony and play them forever, with no subscription required. As usual, only the host needs to own the DLC, your guests play for free. 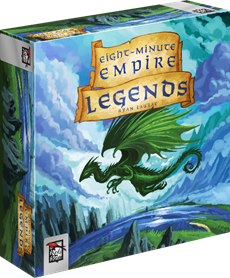 Eight-Minute Empire: Legends is a standalone sequel to the area control game Eight-Minute Empire and does not require the original game to play. Just like the original game, players take turns selecting a card from six on display. The card has an action that the player takes immediately, and actions help players take over the map, but instead of goods, cards now have special abilities, which give players unique advantages and ways to break the rules throughout the game. Build a small empire in a land of legends! 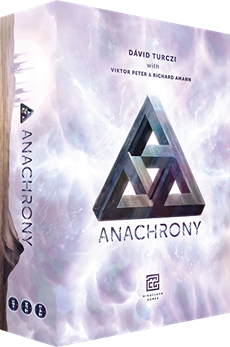 Anachrony features an unique two-tiered worker placement system. To travel to the Capital or venture out to the devastated areas for resources, players need not only various Specialists, but also Exosuits to protect and enhance them - and both are in short supply. The game is played in 4-7 rounds, depending on the time when the looming cataclysm occurs. The elapsed turns are measured on a dynamic Timeline. By powering up the Time Rifts, players can reach back to earlier turns to supply their past "self" with resources. Each Path has a vastly different objective that rewards it with a massive amount of Victory Points when achieved. The Paths' settlements will survive the impact, but the Capital will not. Whichever Path manages to collect most points will be the new seat for the Capital, thus the most important force left on the planet. You can purchase these new DLCs on our Steam product page. Tell us in the comments which games you would like to see as DLCs.